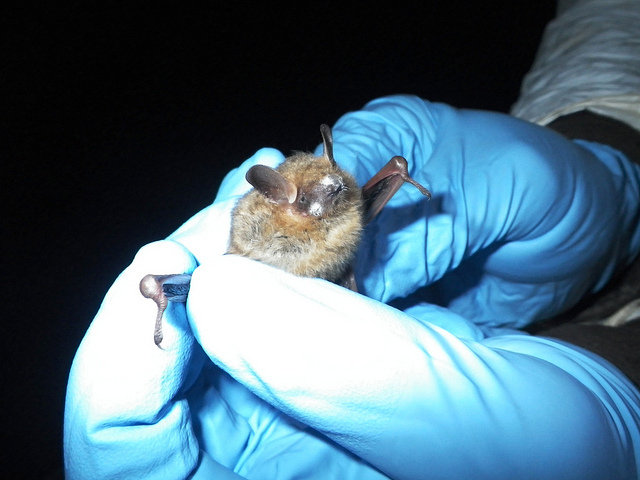 The South Carolina Department of Natural Resources has announced that a dead bat, discovered recently at Table Rock State Park in northern Pickens County, has been confirmed positive for white-nose syndrome. This marks the first infection in a state that appeared, until now, to be insulated from the disease. 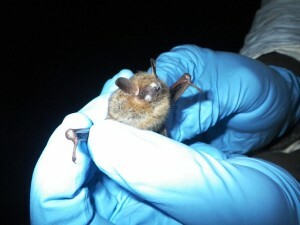 The dead tri-colored bat was discovered by Table Rock State Park staff and collected for testing on February 21st. It was taken, transported on ice, to the Southeastern Cooperative Wildlife Disease Study in Athens, Georgia, where the presence of Geomyces destructans, the fungus which causes WNS, was confirmed. With the addition of South Carolina, WNS has now been confirmed in 21 states and five Canadian provinces. Table Rock’s bat colony is located in a remote part of the park not accessible to the public. They’re going to all die inour lifetime if they don’t find a cure. Its in 27 states now…. that they know of anyway. Its probably more.